Newsagents, Confectionery, Tobacco, Stationery. Also Large Selection of Cards and Toys. 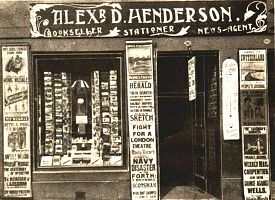 McInnes was once the location of another business called Alexander Henderson as seen in this photograph from about 1911.